The 16th edition of the biggest wine event in the Benelux opens in Brussels this weekend. Starting from Friday 24th October to Monday 27th October, Megavino is a must for any wine lover. Last year there were 368 exhibitors from 32 wine producing countries. The event welcomed over 27,000 visitors including around 5,000 professionals. The event is held at the Brussels Expo. 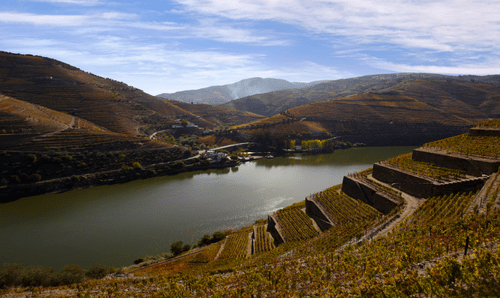 This year, the wines of Portugal will be the guest of honour though visitors will be able to taste wines from most of the wine regions in the world. Another eye catcher is the pavilion of Madeira, an autonomous island of Portugal in the Atlantic Ocean which will be present for the first time at this event. Spain, last year’s guest of honour, will be well represented with the most important Belgian importers and about 24 bodegas from different Spanish regions presenting their wines for the first time on the Belgian market. There will also be the Cava Institute and the region of Navarra with a real tapas bar. There will be many different masterclasses and tastings including wines from Portugal, Luxembourg, Spain, Tuscany (Italy), France and Chile among others. One of the greatest novelties this year is the presence of Belgian gin producer Meyer’s Gin. This gin, made out of kiwis, is made by Christophe Demeyer and Tim Veys. It is reported to be a pure gin, without a heavy alcohol taste which can therefore be drunk pure without necessarily adding tonic water. Megavino is open on Friday from 6pm to 11pm. It is open on Saturday from 12 noon to 8pm. On Sunday it opens from 10am to 7pm. It is also open on Monday from 10am to 6pm. Megavino, which I have visited over the past years, is a great way to discover new wines and wineries. It is also the perfect opportunity to meet wine producers and some of the best wine importers in Belgium.